After the Enron and WorldCom scandals, many businesses realized the importance of having additional insurance coverage for potential mistakes made by their directors, officers, other managerial staff or by the company itself. The Sarbanes Oxley Act of 2002, passed in response to Enron, WorldCom and others, establishes new or enhanced standards for all public company boards, management and accounting firms in the United States. As a result of the Act, insurance companies have often made is more difficult, and costly, to obtain D&O (Directors and Officers) insurance, and sometimes even E&O (Errors and Omissions) and EPLI (Employment Practices Liability) insurance. Employees and shareholders now have additional protections against employer fraud and misstatements – and employers are seeing more lawsuits being filed against them. D&O: D&O insurance liability policies provide insurance for negligent acts, omissions or misleading statements committed by directors and officers of a company that result in lawsuits being filed against the company. D&O coverage can be purchased to reimburse the company when it indemnifies directors or officers, to specifically cover directors or officers when the company doesn’t indemnify them or can provide entity coverage to cover claims made specifically against the company. E&O: Errors and omissions insurance is coverage that protects those people that give advice, make educated recommendations, design solutions or represent the needs of others. As the name suggests, it protects these people when they’ve done something they shouldn’t have (error) or when they neglected to do something they should have (omission). 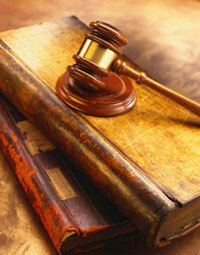 It is also referred to as Professional Liability or Malpractice Insurance. EPLI: Although somewhat different, many confuse EPLI with D&O and E&O insurance. EPLI covers employers from claims made by workers who have sued the company for violating their legal rights as employees. Possible lawsuits include claims for sexual harassment, breach of employment contract, wrongful termination, discrimination and failure to hire or promote. Insurance companies may offer one or all of the above coverages as part of a business owner’s policy. It’s important to evaluate your risk to know whether to purchase these types of policies, and if so, how much coverage to buy. To do that, look at the type of industry you’re in (financial services companies are likely at a higher risk than hardware stores), the size of your company (more employees generally increases your risk for lawsuits), the makeup of your company (your risk generally increases if you have shareholders). If you do decide to purchase coverage, make sure to have your agent provide details, and examples, about what is covered, what is not and what limits, deductibles and exclusions apply to each type of coverage so that your exposure to errors, omissions, misstatements, fraud or employee rights violations are minimal.